What to look for in a Daycare school? 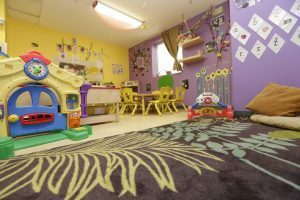 Choosing a daycare school for your child could become a simple task if you follow the simple guidelines we have specified in this article. Some of the basic parameters you need to consider are the environment, caretakers, safety, toys and playthings, and the worksheets for your child. Pay special attention to the quality, taste, hygiene and healthy aspects of the food your baby eats there. Comfort: Environment is the most critical factor for your baby’s comfort and convenience. Emotional connectivity with the other kids can attract your baby’s attention. She will adapt herself to the environment sooner than your expectations. So, you can go to work without having to worry about her mood swings. Friendliness: The environment should be preferably informal and friendly. Make sure there is no infighting among the kids for toys, food, and other things. Such an environment can cause emotional disturbances in your kid. Hygiene: Pay special attention to the toilet and bathroom facilities. They need to be hygienic, sanitized, and free from pathogens. The school should have a housekeeping helper for taking care of hygiene and health. The most important aspect you need to observe is the hygiene and health of the other kids. If there are any issues, it is better to look for other schools. Ventilation: Ventilation and air quality are the key elements you should consider. The school should be away from pollution. The surroundings should be free from garbage, heat, humidity, and other unhygienic factors. Only then you can ensure clean and oxygenated air circulation within the classrooms. The caretakers should be certified and experienced in daycare for kids. You can check their credentials from the school head. They should be able to connect with the kids without getting into emotional attachment. It is the key to complete care in all the aspects. Attitude: Let the caretaker interact with your kid and observe her attitude. Her body language will clearly demonstrate if she is willing to care for your kid. Does she make eye contact with the kid? Does she listen to your kid? Is she empathetic, sympathetic, or cold? Empathy is stated to be the best way of establishing one-to-one communication with the kid. Approach: only when the approach is right, the attitude can have a positive impact on your kid. Observe how she communicates with your kid. Is she formal, informal, or playful? Does she engage your kid into learning, playing, speaking, listening, and understanding skills? Sometimes the caretakers can be very imposing and authoritative. They may try to make your kid a scientist or an engineer overnight. Such over enthusiasm can affect the kid negatively. If the caretaker is showing empathy with your kid and make learning fun, you can trust her. Patience: Don’t expect the caretaker to be like the Buddha or a saint. She may have bad tempers at times. She may discipline your kid when she becomes adamant or stubborn. She may also try to instill orderliness from learning and playing to eating, self-hygiene, and sleeping. It is good for your kid, for she will learn to be independent. At the same time, the caretaker should have the patience to ignore the mischief and naughtiness of your kid. Ignorance can make the kid more disciplined and organized. The caretaker should desist from using physical or psychological abuse of the kids. She should also have patience while feeding, playing, and teaching your kid. You can observe these factors within the initial two or three days of schooling. The daycare school should preferably have fencing around the perimeter for the safety and protection of the kids. The playgrounds should be free from sharp and hard objects. But it is essential to have an outdoor playground. It helps the kids to get exposure to the natural elements. Don’t worry if your kid plays on the sand and outdoor playthings. The grounds and the school should be free from the risks of grievous falls and injuries. The toys and playthings should be innovative and attractive. They should invoke the imaginative capacity of your kid. They can be related to puzzles, colors, animals, nature, and of course the language skills. The caretakers should be able to teach more than rhymes and mundane things. The toys and playthings should make your kid ask questions. Curiosity to learn the unknown can keep your kid’s interest alive in the daycare school. Worksheets, paintings, and books can help your kid to develop concentration and focusing ability. She will not get distracted so easily by the external factors when she is learning, reading, or painting. They can enhance the cognitive abilities of your kid. If the daycare school allows homemade food, it is the best option for your kid. Foods packed in hotbox can be hygienic and healthy for your kid. If that is not possible, you should look for a school with a kitchen and cooking staffs. You should taste the foods regularly to check the quality, taste, hygiene, and health factors. Make sure your kid drinks plenty of water and fruit juices during the day. The caretaker should be able to ensure proper feeding on time. The school should avoid junk-foods for your kid. They should also resist from giving carbonated and soda mixed beverages. Ask for the food and beverages menu from the kitchen and check it is safe and healthy for your kid. Monthly cost should be competitive and affordable for you. Compare the cost of at least 5 to 6 daycare schools before making your decision. Expensive schools don’t necessarily mean better care. You have to use your parenting and common sense to find the school with good facilities and affordable costs. Does it take good grades or sterling credentials to make a good tutor? What traits are necessary so that someone will be able to become the tutor that any student will ever need? Here are some questions to ask a tutor. Let’s face it, each and every student who will get a tutor will have specific needs. Most of the time, a child needs a tutor so that he can keep up with the daily demands of a school life. He needs someone to guide him and help him understand his schoolwork. Normally, for those who have passed schools with straight As, learning for them is almost automatic that they find it hard to comprehend why others can’t even seem to get simple instructions. This may hinder them from becoming a good tutor. So, what are the traits or characteristics that will make a good tutor? As in everything, patience is a must. It can be pretty hard to adjust to a student’s slow pace at times. If a tutor is not patient enough, they may tend to “help” the student by spoon-feeding him with answers to his assignments, and doing some tasks so that they can finish doing the homework. This is counter-productive, as students become overly dependent on the tutor. The goal of having a tutor is so that there is someone working hand in hand with the student, and not someone working for them so that they can simply submit assignments and school projects. A good tutor understands that perfectly. He knows that he requires adjusting his pace so that the student can keep up. Having a sense of humor certainly, helps. A good tutor will ease any tension a student feels about learning. Having a great sense of humor, and of course, a friendly personality certainly helps. This puts the student at ease and making him feel comfortable about opening up. 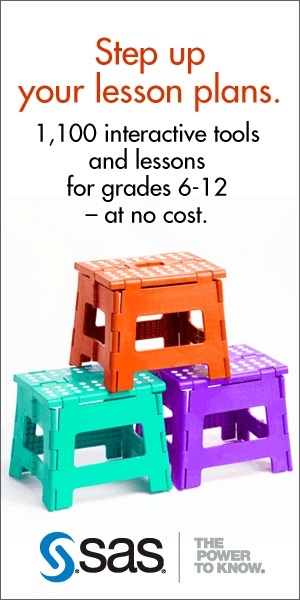 This also helps increase a student’s confidence and self-esteem. There may be questions in a student’s mind that need some answers, but then, he may just be too shy or afraid to ask because he has been rejected in the past. An open relationship between a tutor and his student allows for a more interactive discussion where the students participate with confidence and ease. A good tutor must have the skills to manage time effectively. Let’s face it; a tutor have only about an hour or two to engage with his student. So learning to master time is a required skill unless he wouldn’t mind losing some time of his own. He must make sure that he arrives on time for the session, and all materials are properly prepared. He must also be able to explain that to the student as well. A good tutor will be able to interconnect important study skills so that they can use their time more effectively. He may also be able to use materials and other resources that can be easily understood by his student; thus, making each study session more productive. Not all students are created equal, that’s a fact. But a good tutor will always know how to adjust to a student’s specific need so that he can present the lessons in a more engaging, fun and easy way. The additional cost of a tutor is always motivated by the urge to improve academic performance. However, when it comes to choosing between online and private tutors and close analysis is required as the two have different ways of achieving the same objective. 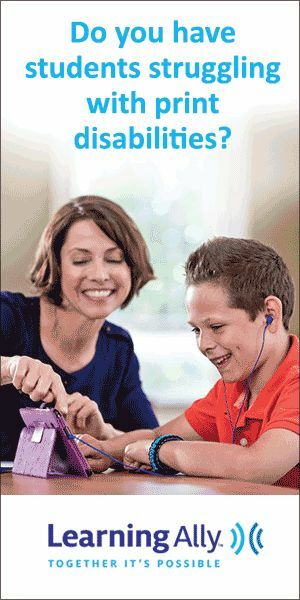 The first difference that comes out is that unlike online tutoring, home tutor provides a personal attention to the kids. The presence of other kids in a classroom environment may not allow their teacher to provide personal attention to your child. Providing a personal attention enables the tutor to identify some of the strengths and weaknesses of a student, which can be instrumental in improving their performance. On the other hand, an online tutor may not have the chance to understand other details that may be affecting the learning of the student as there is no personal contact. A private tutor can help build the confidence that a student requires. As opposed to online tutoring, the physical presence of the tutor has a great impact on the attitude of the student towards learning. The concentration and understanding of kids can be more controlled with the presence of the tutor. The student will be keener to the lessons as opposed to when the teacher is in another geographical area where the student is sure his/her behavior is not being monitored. Online tutors can only monitor the progress of the learning exercise through tests. The physical presence of private tutor enables them to monitor the kids and can give periodic reports on the progress of the learning. 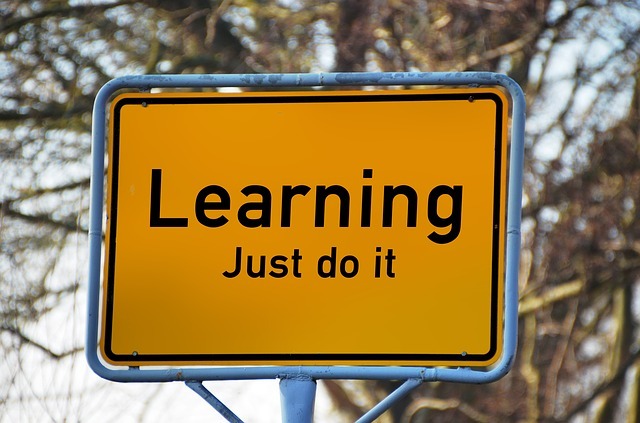 Unlike online tutor, a private tutor is able to make adjustments and improve the learning, ruling out tests as the only way to assess the success of the exercise. The possibility of a private tutor to monitor the progress of the learning enables them to prepare kids effectively even for the exams. Towards exams what any student needs is to focus more energy on the weaknesses that may bring him/her down. Contrary to online tutors, private tutors are very effective in the case of working on the weaknesses as the tutor can identify the weaknesses early enough. In most cases online tuitions that are offered are for the normal student who does not have any of the physical challenges such as poor eyesight, hearing problems or even concentrating in class. Private tutors can be able to work with a student with such problems and lead them to success just like normal students. There can be other disadvantages such as high-cost private tutors, their mobility, and safety of your child. With technological advancement, one may also think online tutoring is the best. With the best sourcing of an experienced private tutor, you reap from the advantages that online tutoring could only offer in the world of fantasy. “Flowers are a part of our lives from dating to mourning. There’s no better choice for quality Calgary flowers in Calgary, Alberta than Panda Flowers. An award-winning part of the Alberta business community for nearly 20 years, Panda provides online as well as in-store service, and we take pains to ensure the happiness of each and every customer by providing beautiful flowers, reasonable prices, and customized service.